Ok, I’m at an Ultranet workshop run by Heather Carver, and I’m learning how to use online thinking tools. This is the link. The first one we’re playing around with is at http://mindmeister.com and it’s a tool a bit like V8 Inspiration mind mapping. It’s reasonably intuitive, and once your students have an account you can have multiple users working on the same mind map. The Intel visual ranking tool is useful for prioritising…it’s a step up from mere listing, and it requires that students give reasons for their ranking. (There’s a little notes box that opens up for them to do this – double click on the statement and it will open up). Groups can rank statements together, and then compare results from different groups. The comparison link is the RHS button at the top. We tried the Thinking about Thinking tool. Heather reminded us that if we’re setting up a task like this, it’s important that there not be a right or wrong answer – it needs to be an open-ended task. There are demos for the different tools to explore at this site. The only glitch I found when using this tool was that it published some words in my list incorrectly. I checked it, and it wasn’t typos – I’ll need to find out what went wrong…. The next tool we looked at was the Showing Evidence Tool. 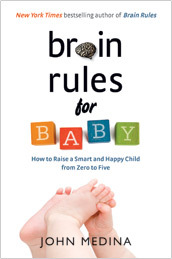 It’s suitable for Y5 & 6 upward, but is especially useful for secondary students. The demo we looked at was called Mysterious Malady but I sneaked a quick look at the one for primary schools – which is just the thing for a library lesson: Can a thief be a hero? For secondary students this is a tool best used with groups so that students have peer support to develop reasons and have to justify their ideas; probably it’s best used with a whole class at primary levels. There’s a Seeing Reason tool too. It’s a bit like concept mapping but it involves identifying factors in the argument that are positive or negative. This a demo for the Causing Traffic Jams Seeing Reason task. Again, the tool allows a teacher to see a snapshot for assessment purposes. There are so many tools to play with on this Intel site, and they’re all free! I have just discovered a terrific site that enables students to determine the strongest elements of their intelligence. 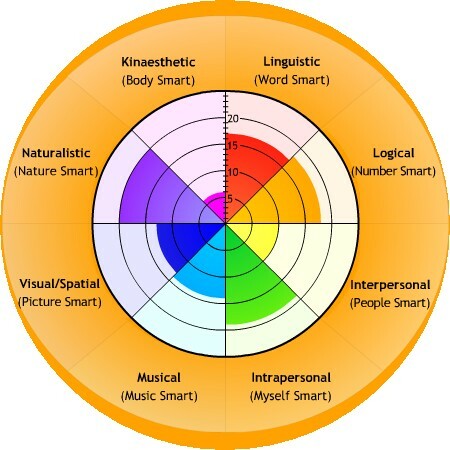 It’s a kid-friendly Multiple Intelligences Test, and results in a clever pie graph that illustrates their strengths. No prizes for guessing what mine are!